The Nazis established a concentration camp near the town of Natzweiler, 31 miles south of Strasbourg, on a hill in the Vosges Mountains. 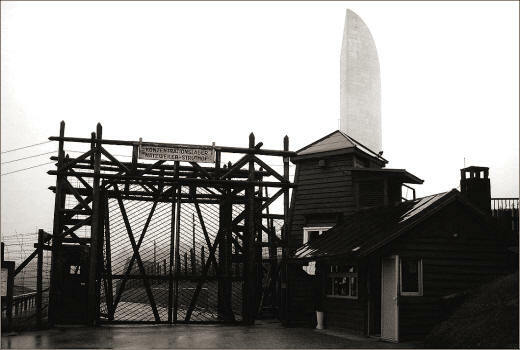 Natzweiler –Struthof was one of the smallest concentration camps. It was apparently established after Albert Speer, Hitler’s architect, who had been on an inspection tour of recently occupied France and had noticed the presence of granite deposits in the Natzweiler area. 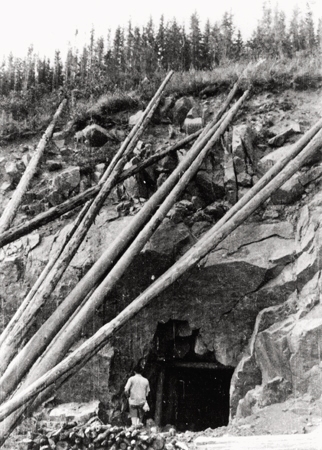 The Deutsche Erd-und Steinwerke GmbH (German Earth and Stone-Works Ltd) reacted to Speers’ promptings and by autumn 1940 had launched a project to quarry the granite, with the work to be done by prisoners. Egon Zill also served at Dachau, Buchenwald, Ravensbruck, Flossenburg, Hans Huettig also served at Buchenwald, Flossenburg and Herzogenbusch, Freidrich Hartjenstein also served at Sachsenhausen and Auschwitz, Heinrich Schwarz also served at Mauthausen, Auschwitz, Josef Kramer who served at Dachau, Mauthausen, Sachsenhausen, Auschwitz and Bergen-Belsen. 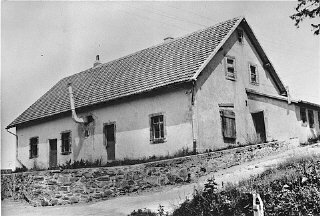 The first batch of prisoners, 300 German nationals arrived on the site on 1 May 1941, although the construction of the camp had not yet been completed, and the prisoners were assigned temporary housing in the former Hotel Struthof. The number of prisoners increased at a slow pace, compared to other concentration camps, but from 15 August 1942 it became available for routine RSHA prisoner transfers. Hence, by the end of 1943, the prisoners in the main camp numbered some 2,000. Most were employed in arms production, and at no time were more than 500 prisoners put to work in the quarries, a project that turned out to be costly. In the summer of 1943 several sheds were erected in the quarry area, serving as workshops in which prisoners were employed overhauling Junkers aircraft engines. In the same area, deep tunnels were made underground to provide space for subterranean factories that would be safe from bomb attacks from Allied air craft. 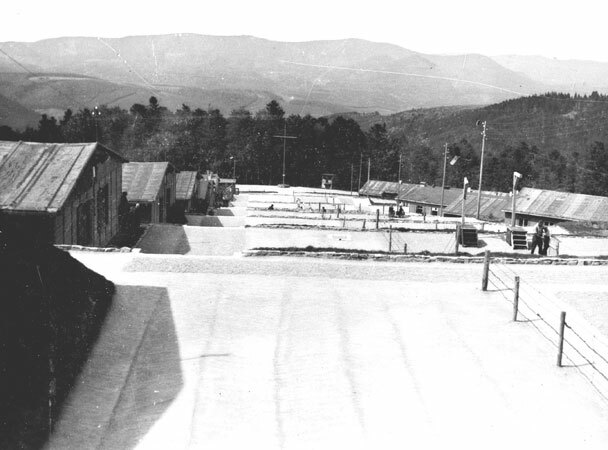 The Natzweiler camp was expanded in 1944 as part of the efforts made by Nazi leaders in charge of economic affairs to relocate vital armaments plants to underground facilities. New sub-camps were also established on Reich soil, mainly in Baden- Wurtemberg. One of these camps was in Neckarelz where an existing gypsum mine was converted to an intricate tunnel system into which Daimler-Benz Aircraft moved its engine plant from the Berlin area, in a joint project, undertaken by Daimler-Benz, the Natzweiler camp, and the Ministry of Armaments. Another sub-camp was located at Leonberg, near Stuttgart, where a disused autobahn tunnel was put at the disposal of the Messerschmidt Aircraft Company. When it went into operation in the spring of 1944, Leonberg started out with 1500 prisoners, their number rising to 3,000 within a year. Yet another sub-camp was the Schorzingen camp, established in February 1944 for extracting crude oil from oil shale, one of the Nazi’s regime desperate last-minute efforts to recoup the losses of raw materials caused by the ongoing retreat from the east and by bombings by the American and British air -forces. At the end of 1944, more than 1,000 prisoners were working in Schorzingens and the plan was to bring in another 4,000. The total number of prisoners in the Natzweiler sub-camps in October 1944 was 19,000. In Natzweiler itself the number had risen to between 7,000 and 8,000. 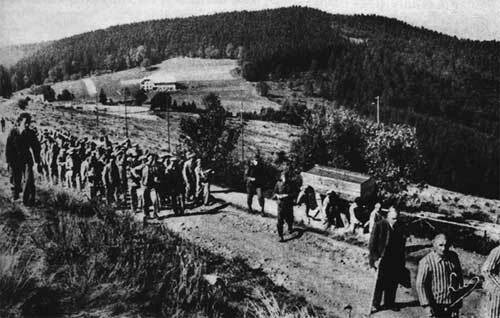 During the course of 1944, members of the French Resistance were among the prisoners brought to Natzweiler, most of them were killed on arrival. In a special category were the so-called Nacht und Nebel (Night and Fog) prisoners, selected by the SS for road construction and work in the quarries, where conditions were at their worst. An RSHA order of 24 September 1944 had decreed that “all Germanic “NN prisoners” were to be transferred to Natzweiler. The mortality rate was exceptionally high, owing to the harsh working conditions and the ill-treatment of these prisoners. This appeared in an invoice that the SS sent to the Strasbourg University Institute of Anatomy, charging it 236.08 Reichsmarks for the job. 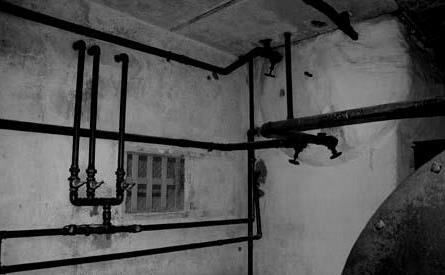 It was for the skeleton collection of the director of that institute, Professor August Hirt, that at least one hundred and thirty prisoners were transferred from Auschwitz to be killed in the Natzweiler gas chamber. Most of these prisoners were Jews. 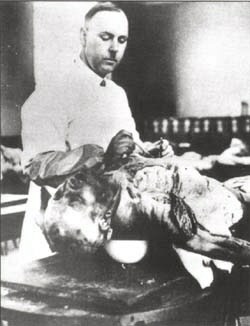 Another member of the Strasbourg University faculty, Professor Otto Bickenbach, also availed himself of the Natzweiler gas chamber, to conduct experiments on prisoners with antidotes of phosgene, a poisonous gas. The victims were Gypsies who had been transferred from Auschwitz, the previous year to serve as human guinea pigs for SS doctors experimenting with anti-typhus injections. In August 1944 the camp was declared a zone of war, the first evacuation left on 31 August 1944, the convoy of 2,000 barefoot prisoners, SS men, soldiers and dogs struggled down the mountain. At the bottom the commandant drove up and ordered the convoy back up the mountain because the train had not yet arrived. The prisoners dragged themselves back, at 5 A.M. the whistle blew and down the mountain they marched again to be loaded into the waiting cattle cars without water or food. At 10 A.M the train began to move – it reached Dachau concentration camp the next morning, with minimal loses. The French First Army liberated an empty Natzweiler on 23 November 1944, the SS had removed all the prisoners by September 1944, the sub-camps were liberated in 1945. Encyclopedia of the Holocaust - Israel Gutman (Ed) - New York 1990. Hitler’s Death Camps by Konnilyn Feig, published by Holmes and Meier, New York and London 1979.